In summer, at least twice a week, we have "Stuff on Bread" night. It really is that simple - we rummage around the cupboards or the garden and see what is available. Some veg get roasted or grilled, there may be a bit of leftover meat or egg mayonnaise from earlier in the week, and there is almost always cheese. If we are low on toppings, out comes the food processor and some form of pesto is added to the mix. I've used carrot tops in the recipe below, but really you are only limited by what is in your fridge, garden or hedgerow here. We use this same recipe with ground elder, nettles (don't forget to blanch them first), spinach, rocket, chard, young kale leaves, beetroot greens and wild garlic. Sometimes we leave out the cheese, if you leave a bit of water on the greens from washing or blanching them, the liquid and oil will emulsify nicely to form a creamy base. Using a food processor, chop the nuts until they start to stick together. Coarsely chop the garlic, carrot tops and cheese and add them in. Blend until finely chopped and start adding olive oil to form a paste. Salt to taste. Mix into whole wheat pasta with sautéed courgette (zucchini), red onions and pecans with oregano sprinkled on top. We bake sourdough bread most days. Be it as a morning breakfast/vehicle for melted butter or a staple in the summer time "stuff on bread" dinners we have at least twice a week, sourdough is embedded in our life. 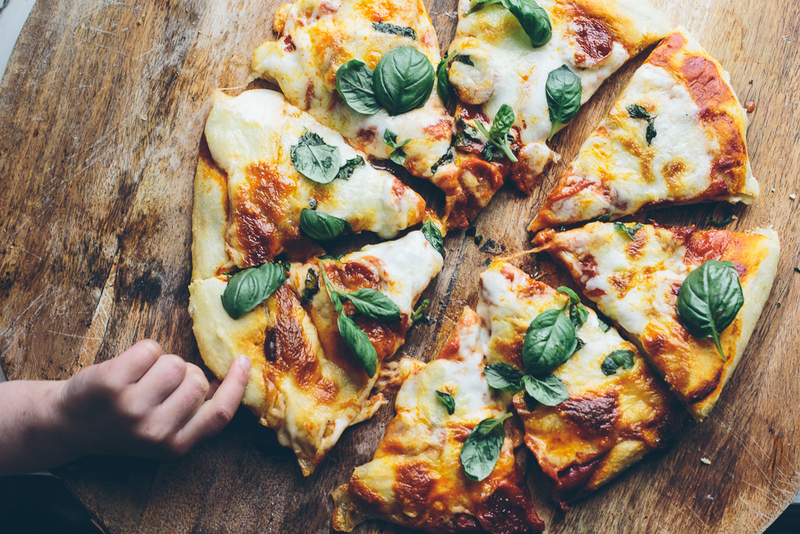 We've tried a lot of methods and recipes, but with so many of them, there was a level of technicality that simply didn't fit into our busy family life. While technical aspects of hydration and starter peaks are important to know, we have come to the understanding that the best bread is the bread that fits easily into your every day life. This bread dough isn't very wet, which makes it ideal for a starter sourdough, as its a lot easier to handle. I've written this recipe for people who make bread regularly - every day or every other day. If you are baking once a week, you may not get the rise you need from your starter, so feed it about 12 hours before you are due to make bread and see if that helps. I start my bread as I am making dinner in the evening and it sits next to the aga for the first few hours before it goes in the fridge for over night. I then turn on the oven to bake when I go down in the morning for coffee. 200g 100% hydration starter (This is a good method for starters here, or you can buy a kit here). 1. In a large bowl, mix all the ingredients until the flour is completely incorporated. 2. Cover and let stand at room temperature for 3-4 hours, depending on the warmth of the room. Every so often (at least 3x), stretch and fold the dough to help with the gluten development. 3. Tip dough out onto a floured surface and shape into a tight round. To get a nice surface tension, stretch the dough from the outside and bring it into the centre all the way around. This will be considered your seam. 4. Place seam side up in a banneton or bowl lined with a lightly floured towel. You can either leave for about an hour in a warm place and then bake or place in the refrigerator over night. 1. Place your dutch oven in the oven and heat the oven to its highest temperature. 2. When the oven has reached temp, place your baking parchment on top of your banneton, then the baking tray on top of that and flip your bread out of the banneton onto the tray. There is no need to remove your bread from the refrigerator prior to this, in fact it is easier to work with a cold loaf. 3. Score your bread using a knife or razor blade. 4. Slide the loaf into your hot dutch oven and put the lid on. Place it back in the oven and reduce the temperature to 220c/430F. Bake for 35 minutes with the lid on. Remove the loaf from the dutch oven and bake for another 12 minutes or until the crust is brown. – Add 2T of turmeric at Method stage 1. Then add about 2c of finely chopped leeks and onions on your final stretch and fold. 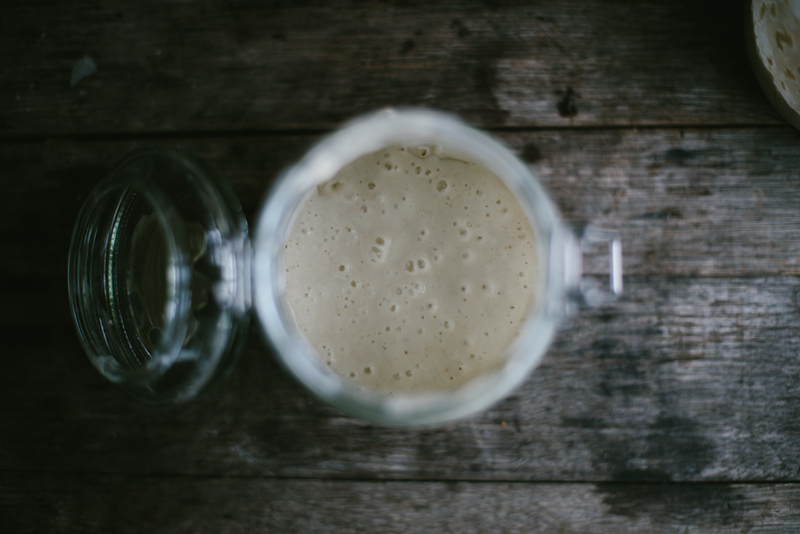 Want to know more about Sourdough baking? We have on online course!! Recently, everything has been about food. Last year I made a commitment to learn to be a better baker. I have always been a decent cook, but baking eluded me - something about it being a bit too prescriptive I think. I have tried to bake something every week and in doing so, I have really rediscovered my love of cooking. My best Christmas presents all involved food. I have a new smoker and have hot smoked pork and am going to be cold smoking some bacon this afternoon. I am so in love with the process of smoking food, I have been reading up as much as possible and highly recommend the Curing and Smoking book in the River Cottage Handbook series if you are interested in the same. I have a bag of venison off cuts in the freezer awaiting processing into biltong and salami. Much of the last few weeks have involved meat. Just before Christmas we bought a full pig from some friends of ours and 2 roe deer from the estate we live on. Its been a full blown education in meat - using as much as possible of an animal while not eating ourselves sick on venison pie and pulled pork (if that is possible, I will let you know in a few months). Hugh Fearnley Whittingstall's Meat book has been invaluable. 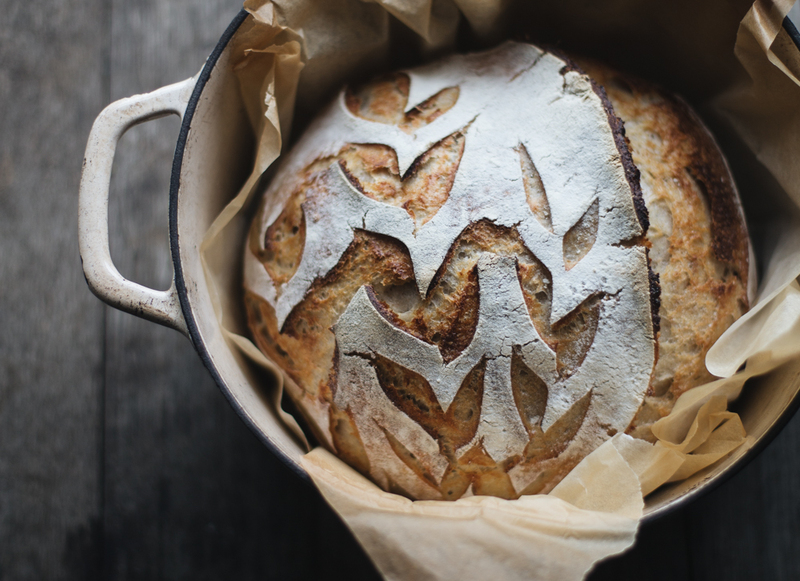 However, the gift in daily use around here is the book pictured above - Sourdough by Sarah Owen. Words can not express my love for this book. We have made the Brooklyn Sourdough recipe as our new standard bread and I have a loaf of the Butternut and Cherry bread cooling downstairs that I will be eating for lunch. It is a glorious mix of bread and other foods like pastries, pies, crackers and sweets. I am utterly besotted with it and will be getting it for everyone I know! As much as I love these ones, I am always on the lookout for new cookbooks. Do you have any you love and couldn't live without? I would love to hear more!